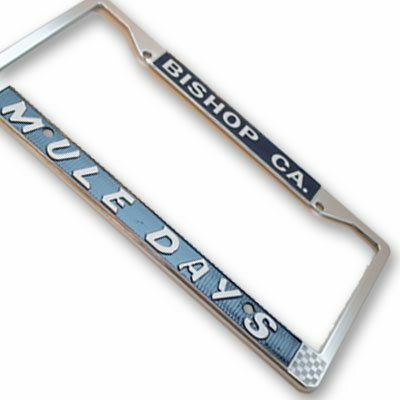 Tell ’em where you’ve been with the Mule Days license plate frame. Quality chromed frame with durable sun-resistant design in blue and white. Order a set!